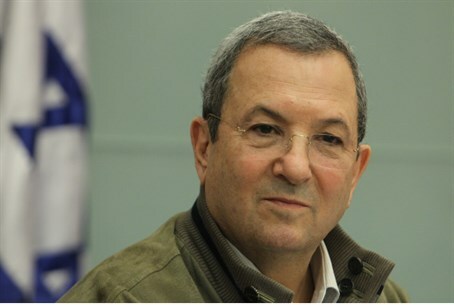 Pro-Palestinian and leftist Jewish groups are spearheading a campaign to prevent former Defense Minister Ehud Barak from visiting Canada, according to Shalom Toronto. Barak is currently set to visit Surrey, British Columbia, on February 27. However, the groups sent a strongly worded letter to the mayor and members of the city council asking that the visit be cancelled - on grounds of him being "a war criminal" and a "terrorist." "Barak's invitation to lecture at the Surrey Regional Economic Summit is like asking a bank robber with red hands to speak to community bankers," the letter, which was released to the public, reads. A propaganda document published by radical groups presents alleged examples of "war crimes" and "terrorism" committed by Ehud Barak. Among other things, the papers stated that he was responsible for the "cold blooded murder" of "Palestinian prisoner" Dalal Mughrabi, the terrorist responsible for killing 37 Israelis in cold blood on March 11, 1978. They also blame him for "commanding death squads" to kill Khalil al-Wazir, a Fatah "master terrorist" who was killed in Tunis in 1988. These same organizations also called on the municipality to heed the urgings of the pro-Palestinian community since 2005 to adopt the boycotts against Israel, and not "to aid the Israeli war crimes, apartheid, ethnic cleansing and violations of the Geneva Conventions and international humanitarian law." According to the document, accepting Barak constitutes following the conservative government of Canada in its support for Israel, which "turns all of Canada, and now Surrey, into a country under the Israeli occupation."